Earlier, WinZO was a single app. You could win Paytm cash by playing challenges. And to play challenges you needed to subscribe. But, now there are 2 WinZO Apps- one is available on Play store and called WinZO Free/Normal and the other is WinZO Gold which you can download from their website. You can read more about WinZO Gold here. 1st: WinZO Free is free to use on the other hand to play Challenges on WinZO Gold you need to subscribe. Subscription packs start at Rs.50 for 80 Challenges. 2nd: On WinZO Gold, prizes are distributed every hour while on WinZO Free, every deal ends in 30 minutes. 3rd: This is the biggest difference. 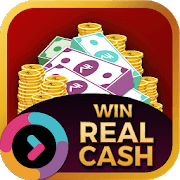 While on WinZO Gold you can win up to Rs.100, the maximum prize available at WinZO Free is Rs.1. 4th: WinZO Gold allows you to transfer any amount to your Paytm wallet. But, you need a minimum amount of Rs.20 to transfer from WinZO Free. 5th: You can earn Levels at WinZO Gold which can be used to redeem various electronic products but not at WinZO Free. WinZO Gold or WinZO Free? Sign up with this referral code- HIMC2218 to get Rs.2 when you register on WinZO Free and Rs.4 & Free subscription when you register on WinZO Gold. You can win Rs.500 when you complete most challenges correctly. The prizes are given to the top 35 users on the Daily Leaderboard.